Commercial clients include owners and developers for multi-family apartments and condominiums, hotels, and retail properties, as well as landlords and tenants in office, retail, and industrial leases. Our residential real estate practice represents developers, builders, buyers, and sellers in all property transactions, including financing, covenants and restrictions, foreclosures, relocations, and closings. McLain & Merritt is also an approved agent for several national title insurance companies, including Chicago Title Insurance Company, Fidelity National Title Insurance Company, First American Title Insurance Company, Stewart Title Insurance Company, and North American Title Insurance Company, and we represent title companies and their insured in claims affecting title to real estate. McLain & Merritt, P.C. 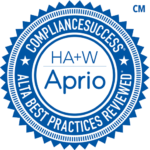 has been issued a Certificate of Compliance with the American Land Title Association (ALTA) Title Insurance and Settlement Best Practices Framework by the industry leading compliance accounting firm Aprio, LLP (formerly Habif, Arogeti & Wynne, LLP (HA&W)). This certification demonstrates that McLain & Merritt, P.C. implements the ALTA Best Practices and follows those policies and procedures to implement a high level of professionalism to protect consumers and businesses in our real estate and mortgage settlement practice.